"I used Canvas for Everything!" Canvas is a Learning Management System/Software where educators can host their online courses. There are Canvas sites for k-12 and colleges, and there is a free site where educators can host free courses. There really is nothing I can say to complain about Canvas Network. The company does great job keeping the software up-to-date and allowing users a system that involves them in the development of new features for the site. Canvas allows you to do everything from create outcomes and objectives for your course, to setting up assignments and assessments to measure against those goals. Canvas makes grading easy, and again, aligning your grades to your learning objectives is easy. You can create quizzes and assignments right on the site, or upload them from a computer. There is a great communication system set up for teachers and students to discuss assignments grades or anything else. You really have all of the things a teacher would need in the classroom right on the Canvas Network and site. There is nothing that I dislike. There are always features that need improvement or something that would make more sense if added to one page as oppose to another, or other examples like that. However, all of those things can be addressed directly to Canvas on the Canvas community page. There other community members can decide if the issue needs a fix, if enough say so, Canvas will start the process to change the feature. publishing and authoring online courses to a platform that is open to the public. Our university was using the Canvas platform, but we wanted to offer inline courses to professionals outside of our university network, so the Canvas network's free canvas website allows us to offer classes off=campus for free. "Excellent platform for delivering free courses"
It is very simple to use and the support from Canvas is great. hey help you all the way and provide good guidance and checklist to achieve the best outcomes. They have excellent course website to promote your free courses. The course has to be delivered using their style sheets which can be a little limiting if you require a different looking course. We have created and run free courses on this site which has generated new customers joining our paid for offerings. As a student, I have encountered many terrible online academic platforms, but Canvas is actually quite nice. It has a sleek UI without the typical clutter, and I can access my class materials very easily. My class meets in person, but it does have some online portions that we need to complete, like taking quizzes and watching videos that are easily done in Canvas. I also like that Canvas has an internal messaging system that allows teachers to send emails from Canvas to students, so I have a central place to look at all announcements. Canvas should allow for some customizability, such as re-arranging links and widgets and collapsing the side panels. I would also like to see more third-party integrations, such as with Dropbox and Trello. I get a better online academic experience out of Canvas than any previous system. 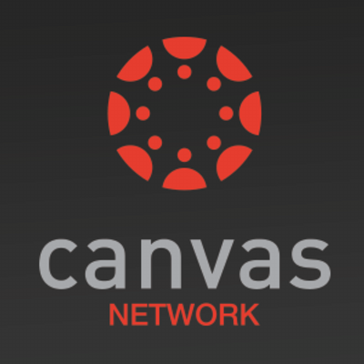 "Premium Support, Human People, Needs will be met"
The Canvas Network Service Canvas Network is not just a PaaS or SaaS for LMS is also a team that serves you and is very diligent. Either to enter or take courses to make one request. They take care of the details, have style manuals, extensive documentation and a repository to connect with various tools and APIs that make the online experience of studying up to another level. It is not just software, it is also service, people who care about your this comfortable and have peace of mind when making things. If necessary they will contact you personally on your phone and are of an agile response and precise in their emails. The people behind this service are trained with a tendency to give good service and the best of them. No doubt, you're in good company. I would suggest more information, more documentation and more people who speak Spanish. Also although personally I prefer to Canvas that its flow is more logical but sometimes is not necessarily so friendly. Should add some pre-templates for their courses that allow people to take courses that will be implemented faster information and course content. If you are as a student you must be a little self-read tips and be proactive because the level of control offered canvas network in the LMS is vertical, however you can educate yourself and really get to learn something contents and courses are very well selected. Although other LMS platforms, these appear to MOOCs CMS adapted. I think canvas was designed from the start as an educational platform that meets standards and integrates according to market needs. Currently in my company I have a Canvas LMS installed and works great, I've seen the courses Canvas Network, and people have good comments that streamlines work and makes much more logical information in this riding. I needed to mount a MOOC on Smart Cities and instead of putting it in Coursera or Edx or any other platform with a Moodle LMS or CMS adapted some, I preferred the seriousness and reliability and ease that offers "Canvas Network". "Canvas facilitates my online learning." Canvas provides a user friendly platform for professors to provide online learning to their students. Students and teachers can communicate on many levels including communication of comments on graded assignments and discussion boards. The set up is done by the professor and each professor sets things up a bit differently. This makes it a little bit difficult when navigated through a new course provided by a different professor. If you are looking for a platform to facilitate online learning at your university, Canvas provides what you need. You an personalize everything using your logo. The benefits allow me to obtain an online degree from my home or office without traveling to a campus. Also, I can further my education while keeping my job. "Have explored and used courses offered on the network." The breadth of courses offered and the modularity of the courses. A great number of courses on the Canvas Network vary from most of the other MOOCs that I have seen in that they cover a tighter area of interest and therefore can be more tailored to your interests and fit your schedule easier. The rigid timeframes of the courses. Canvas is such a flexible CMS, I don't understand why more of the courses are not open entry and open exit. This is something that prevents me from using the Canvas Network more, especially in my own teaching. Similar to EdX, but with less prestigious universities represented. I haven't hosted a course on Canvas Network, but am interested in doing so in the future as a way of increasing my personal exposure. The biggest bonus for me has been my own personal improvement and knowledge expansion. I have referred a couple of students to specific courses, but I have not verified if they ever enrolled in those courses. If you are looking for an easy to use platform in teaching Canvas is the perfect site for you! I am able to grade my students and see their progress on the course. I can also view the assignments and modules for my own courses. "Great Resource for Institutions and Administrators"
I like the availability of content that is free to use for other institutions - on top of the Canvas LMS. As an LMS admin, Canvas is a great LMS to work with and experience that I have enjoyed. By creating a space for users to share content in an environment that enhances the learning experience and provides quality content for free, they have built a great resource for anyone looking to learn something new! A majority of the courses are introductory courses meant as basic introduction to online learning. This is good, however I would like to see some more specialized and technical courses included as well. Other free online learning resources are currently offering non-degree programs, and it would be nice to see the Canvas network offer this type of learning path. This works best when your institution has fully invested in Canvas as the LMS. This serves as a great starting point for offering a free online course from an institution that doesn't have the available resources to do it all on their own. The benefits of using this platform are a greater degree of exposure and a "try it before you buy it" experience to a school's education - leading to potential interesting a school. Canvas Network is a great asset to my teaching tools. Very easy and user friendly. I currently have no dislikes with Canvas. I think Canvas Network takes a load off educators with its simplicity. Canvas helped me simplify my classroom management. It's an all in one learning management system. "Easy to Use and Free Continued Learning"
The ease of accessibility is great for users, both young and old! Not as much variety as I'd like to see. I think we could utilize this for training purposes for our staff. Instead of constantly creating our own training, we can identify canvas courses that could be used. This would cut out the extra work on management and provide an engaging way for staff to train. Canvas works great for all kinds of courses, both online and in person. My favorite aspect of Canvas, as a student, is the notification system it gives us. Every time a grade is posted or a teacher sends a message, I get an email that informs me so I can check the grade or respond to the message. Canvas also allows students to not only communicate with the TA or professor, but it also lets us send messages easily to the entire class list. Another cool feature is that is allows students to input "possible" grades. For example, if you want to know what you need on a final exam to keep your A in a course, it allows you to input potential grades to see how it will effect the overall course grade. Sometimes the files section for courses can be very unorganized and hard to navigate. Also, the phone app can be a little testy and glitch at times. It allows a better communication system between teachers and students while organizing class materials in one central location. "Canvas is really a good tool for higher education." Canvas is easy to adopt to any existing courses. File transfer is very easy and convenient. After your course established, you can use it for anything you need for your courses. None so far. There are some features I have never explored so far, for example the online quizzes. I want to use it, just no time to create enough quizzes. Anyone try to use it will like it! I used to have my own website for teaching. To upload/download course materials every semester cost me lots of time to work. Now I can easily mover course material to new semester. Any changes done also can be re-load conveniently. Easy to navigate. I do not need to be technologically savvy to work this website. The "inbox" gives me notifications. Sometimes even after I check the message, the notification will not disappear. Canvas is much more intuitive than oncourse, IU's previous platform, and helps put all the notifications in the same place. Professors are not encouraged enough to switch to Canvas and often don't know how to fully or correctly use it, so it makes balancing checking both Oncourse and Canvas annoying. This is a great opportunity for students to move freely among different pieces of an online classroom. The information is clearly laid out and easy to follow for any new-time users. Getting information set up in Canvas, is sometimes a pain, but other than that it is an excellent product. Trial uses are always a good idea. This program is very well-organized and it is very easy to find what you are looking for. The program is much better now since the improvements that were recently made to the organization and additional features. Not many things to dislike. * We monitor all Canvas Network reviews to prevent fraudulent reviews and keep review quality high. We do not post reviews by company employees or direct competitors. Validated reviews require the user to submit a screenshot of the product containing their user ID, in order to verify a user is an actual user of the product.